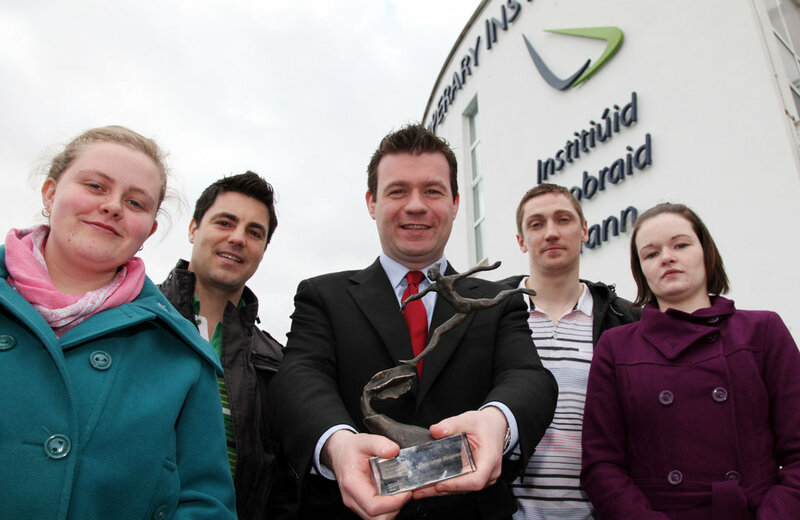 The team from Tipperary Institute who were winners of the Newstalk 106-108 fm Student Enterprise Competition. Eimear Corbett, Jason Fogarty, MEP Alan Kelly, Simon Pollard and Elizabeth Davis pictured at Tipperary Institute, Thurles. Over 1500 students took part and the team are now looking forward to a trip to the Caribbean as part of their prize.